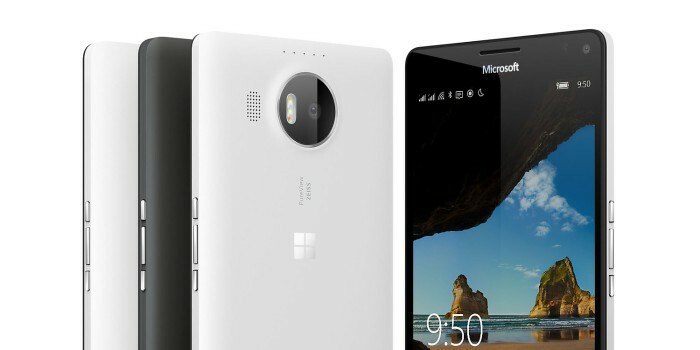 Buy one Lumia 950 XL and get the Lumia 950 free! Looking to get your hands on a free Lumia 950 running Windows 10 Mobile? Good, for you’re in luck. The problem is, getting this free device will cost you a good amount of cash. At this point, the Lumia 950 is no more than six months old, so it is safe to say this is the perfect time for a solid deal. It’s pretty straightforward, too: purchase a Lumia 950 XL and then look on as Microsoft drops the Lumia 950’s price to free. That’s a savings of $549, perfect for those on a budget looking to grab two Windows 10 Mobile smartphones. We should point out that the device is sold unlocked, and interested folks should make their purchase before May 1. If you’re low on cash and need a new Lumia, we suggest splitting the cost of the Lumia 950 XL with someone else also in need of a new smartphone. With a little bit of teamwork, everyone can go home happy. This is an unusual deal but seeing as Microsoft only sold 2.3 million Lumia smartphones in the most recent quarter, giving them away for free is a good idea. Its sales performance experience an enormous 73% decline compared to the over 8 million Lumia units sold back in the same quarter of 2015. With rumors of a Surface Phone in the works along with the possibility that Microsoft might abandon the Windows 10 Mobile platform altogether, clearing out old stock seems to be a great idea. We just hope the Redstone update set for later this year turns out to be something wonderful because Windows on mobile deserves much better than what Microsoft is delivering right now. Pick up your Windows 10 Mobile Lumia devices here from the Microsoft Store.